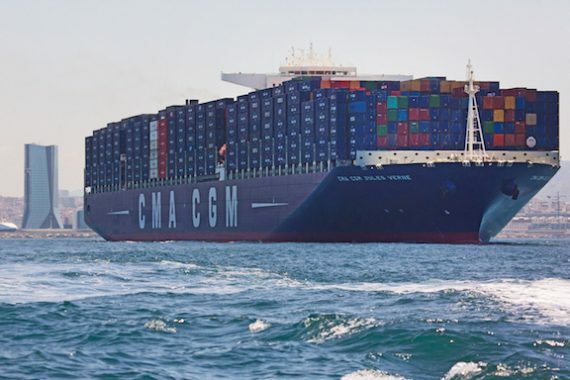 With less than a week to go before the crucial UN talks on climate change take place in its home country, France’s CMA CGM has come out with a release highlighting both its green credentials and the industry’s as a whole. The containerline claims it has reduced CO2 emissions from its owned fleet by 50% over 10 years. “Shipping today is the most environmentally friendly transport mode: it is 70 times less polluting than flight transportation,” CMA CGM said in the release. Shipping is facing a fight as the Paris climate talks loom with industry bodies batting away claims by many NGOs that its carbon footprint needs massive cutting. Splash will be reporting from the talks next week. I fear this is a very selective interpretation of reality. Marine diesel engines burning heavy fuel oil are the most prolific generators of carbon particulates (PM) at a time when particulate matter is newly classified as a Grade 1 carcinogen and nano-particles in particular. Particulates also get caught up in the jet streams, depositing out on glaciers and ice sheets, accelerating ice melt and contributing to sea level rise. A case of being economical with the truth, I fear. The solution – move to LNG. Fancy expanding yr thoughts, James for a 500 word Splash Contribution?